When you imagine large animals, chickens probably aren’t the first thing to enter your mind. Like most people, you might be used to the unremarkable, average-sized birds that live on farms across the world. Nevertheless, some chicken breeds can grow to intimidating sizes, dwarfing others and looking downright Jurassic as they stalk across the barnyard. Whether you think of chickens as livestock or as pets, these top five largest chickens in the world are sure to impress you. Let’s learn a little about them and see where they rank in the pecking order of size. After the “hen fever” of the 19th century began to die down in England, people started to lose interest in chickens that had been bred for looks and novelty. The demand rose for a more practical, utility-focused breed of chicken, and William Cook was happy to oblige with the first varieties of Orpington chickens. His Black and Buff Orpingtons gained popularity at an exponential rate, and remain popular to this day. Orpington chickens are not only docile while being handled by humans–they do well in close quarters with other chickens as well. Their calm temperament adds to their desirability as laying hens and livestock. While the Orpington’s thick coat of feathers is an asset in cold temperatures, this chicken is sensitive to heat and can perish in hot climates unless provided with plenty of shade to keep cool. Like other large varieties, Cornish Game chickens are generally docile when left alone or handled gently. However, they can show more aggression than other varieties of chickens when provoked. Despite not producing as many eggs per year as other breeds, they make good, calm laying hens. These birds grow to maturity quickly, and are excellent foragers. Because of their tendency to rely on foraging for food, they need more space than other chicken breeds do. 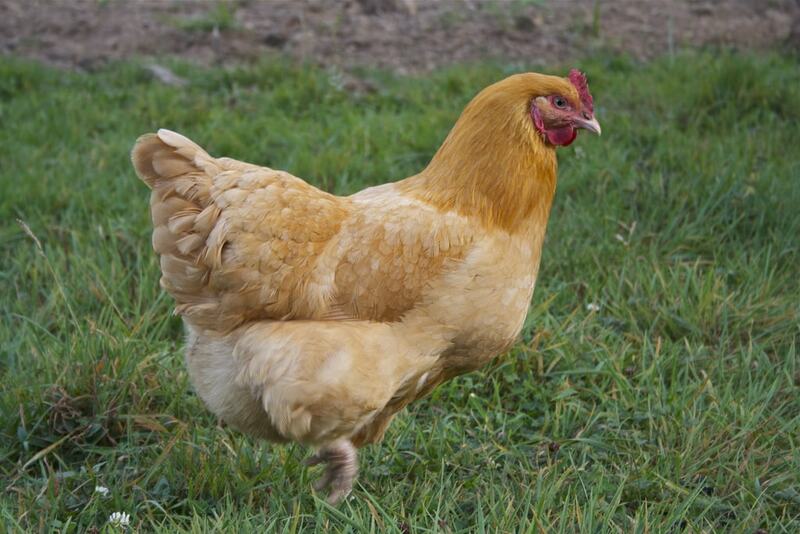 Cornish Game chickens also come in a wide variety of colors, and have made prominent appearances as a show breed. 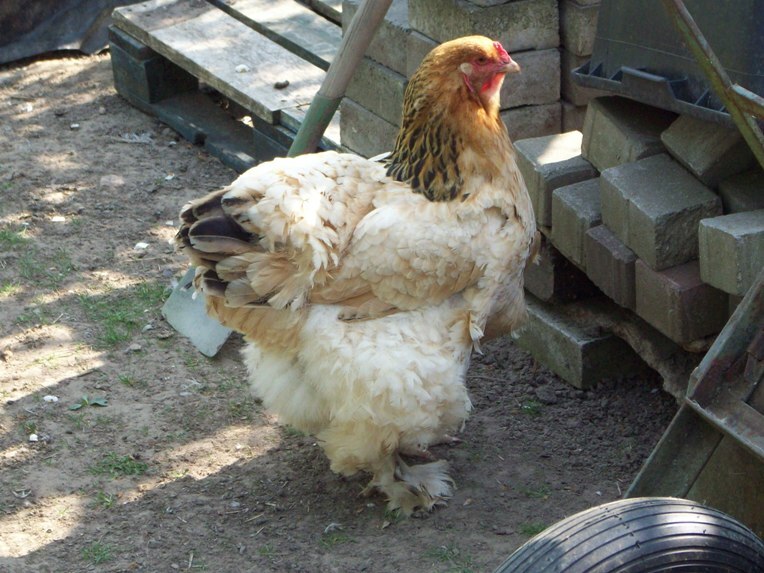 Cornish Game chickens, while stocky in build, do not have particularly thick feathers. As a result, they need the assistance of a study shelter during the cold winter months to keep them warm and healthy. The Cochin has long been prized for its size, and has been cross-bred with other varieties to create heavyweights like the Brahma chicken. These massive birds certainly hold their own, both in size and in the lushness of their feathers. They boast a hardy disposition that combines forces with their thick coat of feathers to make them highly resistant to cold, harsh weather. Once introduced to England and America in 1845, these charming birds started a “hen fever” and the demand for chickens spread like wildfire. 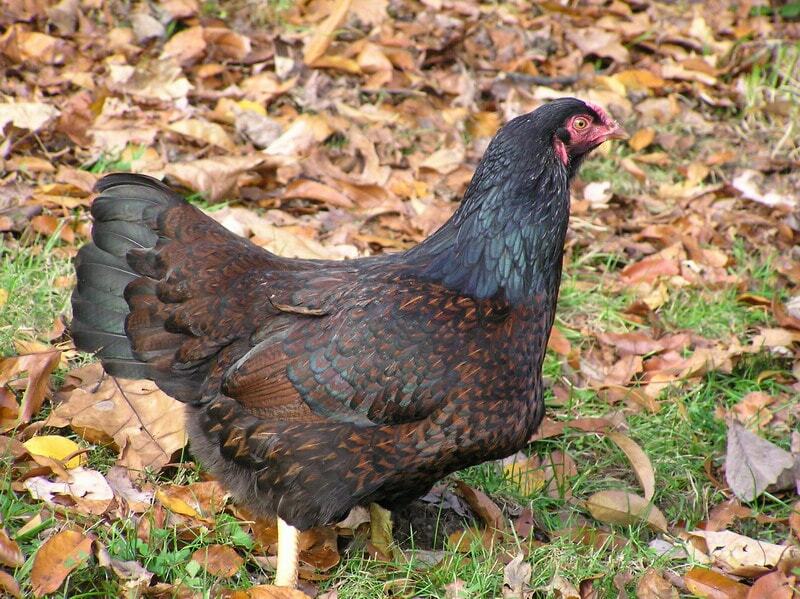 Cochin chickens originally didn’t have the fluffy, gorgeous coat of feathers that makes them so eye-catching today. They used to be bred more for utility, and their appearance was lanky and rough by comparison. Since their appearance became more of a focus, they generally lay fewer eggs. Nicknamed the “King of Chickens” for its size and popularity throughout history, Brahma chickens were originally known as the Shanghai breed. These chickens are believed to originally be a Chinese bird cross-bred from Malay and Cochin varieties to get their impressive size and thick feathers. Brahma Chickens display a similarly friendly attitude to that of the Jersey Giants. Their good disposition and poor ability to fly make them easy birds to contain. In the year 1852, Queen Victoria of England received nine grey Shanghai chickens as a gift from the breeder George Burnham. They were a hit, and Burnham was fortunate enough to see the demand for the birds rise for quite a while afterwards. The Jersey Giant is the biggest chicken in the world. 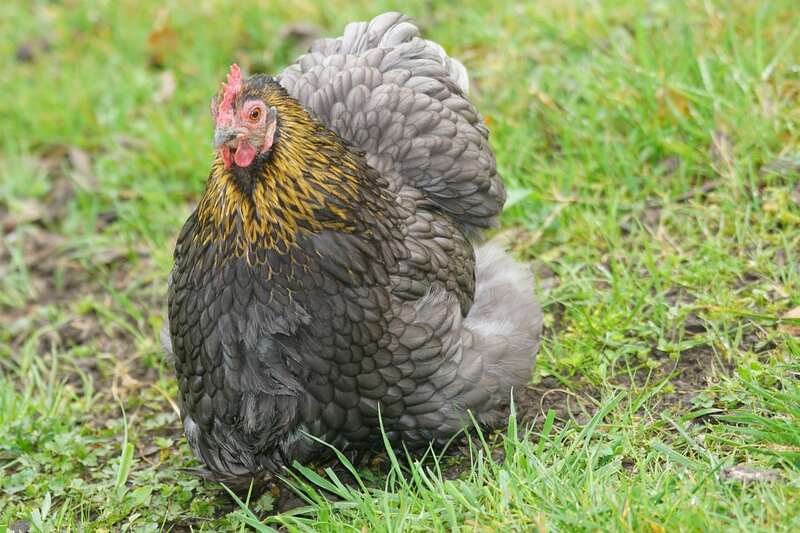 Many people believe that the Brahma chicken comes in first– however, while some outstanding Brahmas can sometimes grow to be just as large, the Jersey Giant is slightly larger on average. The original breeders, John and Thomas Black, bred the first Jersey Giants in order to provide customers with a large bird that could compete with the common turkey. Since this big bird was originally bred for size and not for looks, their feathers used to vary in color and patterns. 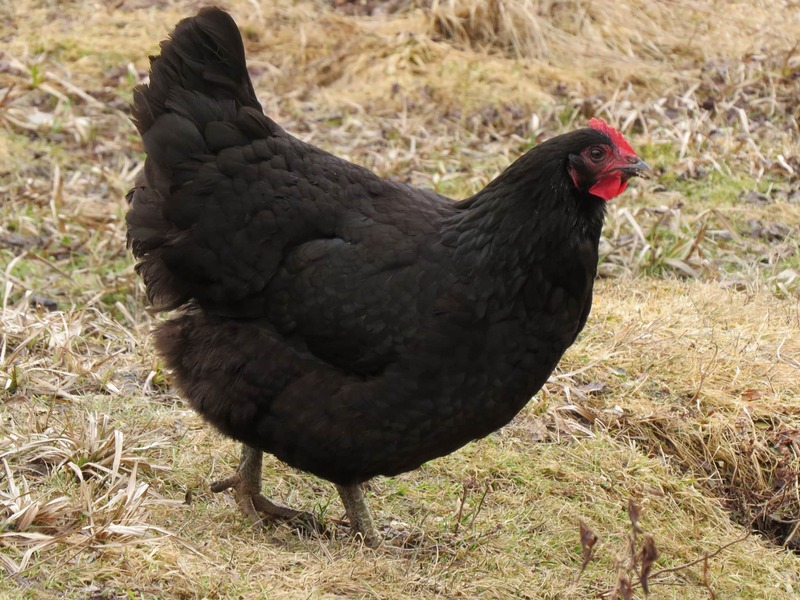 By the time the Jersey Giant was accepted into the American Poultry Association, it had been consistently bred to sport a handsome, black coat of feathers. White and blue types have also been accepted as standard varieties, though the black variety remains the biggest. The Jersey Giant’s friendliness has earned it the nickname “Gentle Giant”, and the birds are very playful and gentle around children. They’re so agreeable in temperament that some people prefer to keep them as pets.